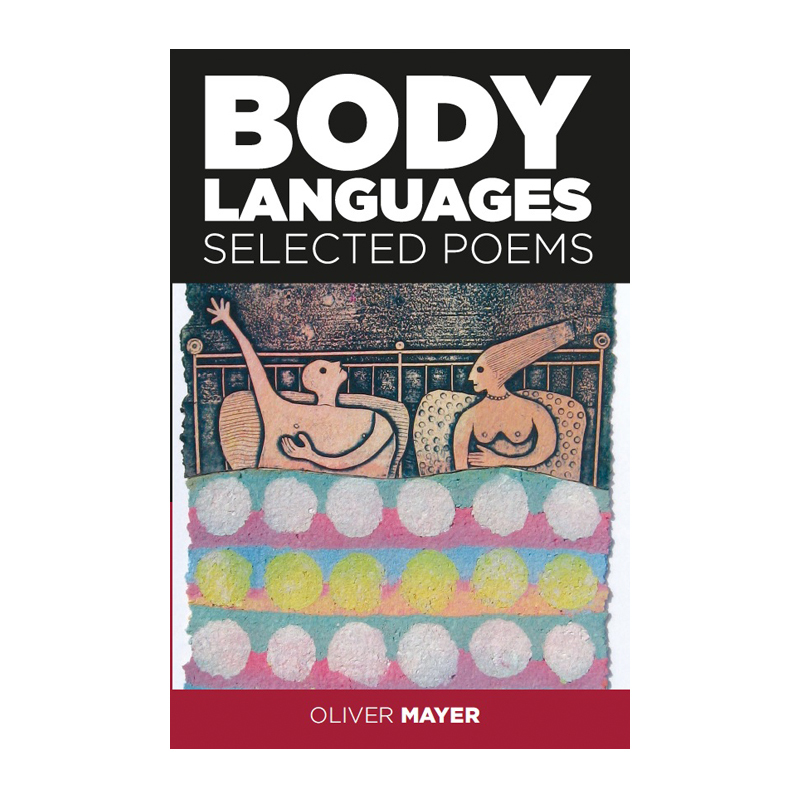 In Body Languages, playwright Oliver Mayer enters the world of love poetry with all the immediacy and passion he can summon. Written to commemorate ten years of marriage to his wife (actress Marlene Forte), these are poems in the tradition of John Donne and ee Cummings, full of music and physical substance. Included alongside the poems are graphic art pieces by noted English multi-media artist Jim Anderson that only up the romance dial, and make the book a one-of-a-kind experience. About the Author: Oliver Mayer is an Associate Professor with tenure at the USC School of Dramatic Arts, and the author of nearly 30 plays, including his newest The Sinner From Toledo, adapted from a short story by Chekhov. Other recent plays include Members Only, the sequel to his ground-breaking play Blade to the Heat; and Blood Match, inspired by the play Bodas de Sangre by Federico Garcia Lorca. Other plays include Fortune is a Woman, The Wallowa Project, Dias y Flores, Dark Matters, Conjunto, Young Valiant, Joy of the Desolate, Laws of Sympathy and Ragged Time. Mayer has also written the libretto for composer David Conte's opera America Tropical, as well as the words for We Are Joy, a piano concerto with choir by composer Jenni Brandon. Along with several collections of his published plays, Mayer wrote the children s book Big Dog On Campus Learns to be a Trojan, and its follow-up Big Dog On Campus Goes to the Library (Figueroa Press) with illustrations by Patricia Rae. At USC, he has received several university honors including the 2015 Associates Award for Excellence in Teaching, and a Mellon Mentoring Award for mentoring undergraduates. This is his first published volume of poems.